I want to tell you something. And maybe it’s something I shouldn’t tell you. Maybe it’s something I should keep to myself, because it’s not the right image I want to portray for the campaign. But I’m going to tell you anyway. Because I just want to write honestly. I had a plan for you – I wanted to share this forest with you in order to make you fall in love with it. But the trick was I wanted to do that without loving it myself. I don’t know how I expected to convey a sense of wonder about this place without feeling it too. But you know what, I felt scared. I felt afraid to love this forest. I didn’t want to become connected to it and then have to sit here and watch it get torn apart limb by limb, tree by tree. I’ve already done that in my life and I didn’t think I could manage another round. I’ve briefly mentioned the Floz a few times in my blog so far. It is the place that I found something people search their whole lives for. I found home, belonging, a sense of place. I spent the best part of a few years in the Upper Florentine Valley. Almost every day I went for walks. I visited my favorite grove of sassafras trees. The ones that twisted up around each other, and seem to almost droop, laden with moss. I liked to climb up into their branches and I liked the distinct smell of sassafras and moss that lingered in my clothes long after I’d gotten down. I liked to visit that patch of bauera and boronia that seemed to appear out of nowhere. You’d walk through tall eucalypt and suddenly be in an area open, but bursting with flowers. I loved the smell of the lemon scented boronia, and the joy of seeing the little flower buds appearing in spring. At night time I’d climb up to the top branches of Front Sit. Every night’s climb was unique. There were the clear dark nights, when I’d dangle from the rope suspended in the darkness, looking up into the stars. There were the nights when the moon was so bright you didn’t need a light. It would throw shadows of tall trees across the forest. And you’d climb out of the darkness into the brilliant light of the moon and back into shadow again. I loved the moment in each climb when I’d pop above the surrounding sassafras trees and get my first glimpse of The Needles mountain range. And Mount Mueller. Then there were of course the rainy nights. When I’d be sitting cozy by the fire and thinking…. hmmm…. do I really have to climb tonight?? But off I’d go – climbing up into the rain, the water running down the inside of my sleeves, and pooling around the bottom of my pants. My fingers painfully cold, gripping the rope. I’d never regret it when I got to the top and look out across the snow-capped peaks of Mount Field, the needles and Mt Mueller. And then settle down in my swag, drifting off to sleep with the sound of rain on the tarp. And those who know me will know well the story of my first time seeing snow. I like to retell it often because I have absolutely come to love the snow since moving to Tasmania. Being from Brisbane originally I’d never seen snow till I came here. And it was one cold winter night when I’d just made it to the platform in Front Sit that I noticed the small specks of light reflecting in my head torch. And then more and more of them. Glistening white. I sat out in the snow for hours that night, perched on a branch, watching it gather on the tarp, the platform, the branches around me. Watching in wonder as it gathered on my pants and my jumper, my shoes, my rope. Finally I went to sleep. And woke in the morning to a wonderland of white beneath me. Looking down over the forest, the sassafras, myrtle and celery top pines bending under the weight of clumps of white snow, clinging to their tiny leaves. The tree ferns making amazing patterns as you look down on them from above. And I never got sick of the snow. Every winter (and sometimes even in summer!) I am overjoyed when the snow comes to the forest. I could almost talk forever about the Floz. Just now I am thinking of a million stories, about the double circular rainbow I saw from Front Sit, the echidna I’d always meet along Timbs Track, the sugar glider that would visit the tree sit, the pair of Wedge Tailed Eagles that soured above me…. so many stories to tell. But I guess the point I wanted to make was this – falling in love with the Florentine was the hardest thing I ever did. But I guess love is like that right? I will never forget the day that Front Sit was felled. It’s funny because I had a feeling, a sense that morning that it would happen. And when I heard that the police had been checking to make sure no one was walking along Timbs Track I knew straight away what it meant – they were going to fall Front Sit. It is a strange feeling to stand there and let it happen. After all those years of trying to defend it, of sitting in that tree and feeling like we were a team together, like I’d be there for Front Sit when it came down to it, that I was here to protect this forest. I really felt like we could. And then to stand there and do nothing, as the chainsaws started. I wanted to run, right through the police line, right in front of the chainsaw. I wanted to be one of those irrational and hysterical people you see on TV, screaming and flailing their arms. But maybe I’m too rational and I knew that it wouldn’t help. That running towards the tree would only have me arrested, that I’d never get through that solid line of cops. So I stood there. I just stood there and watched. I kept thinking – if your friend was being killed would you just stand there and watch? Or would you try to save them, even if there wasn’t much chance that you could, wouldn’t you at least try? I kept thinking that. But I didn’t try. I just stood there with the video camera and filmed it. I don’t know how I stayed steady enough to keep filming. Through the sound of the chainsaw. Through the cracking of wood. Through the earth-shaking thud as the tree hit the forest floor, bringing a few sassys down with it. At the end I turned the camera off and sat down on the ground, on the side of Gordon River Road and cried. I didn’t feel crushed, like I thought I might. I didn’t feel broken. I felt strangely strong. I felt undefeatable. The whole time I had lived at the Floz, I’d always thought: “I don’t know how I’ll cope if they cut down Front Sit, I just couldn’t cope.” But I did. I felt like they had taken from me the tree I loved the most in all these forests, and if I could survive that loss, then I could survive anything. That they could never break me, no matter what they did. The stump of Front Sit remains right by Camp Floz. When no one is watching I go and sit with it. I will always feel a sense of loss there. But it reminds me to be strong. And it reminds me that I will never give up. I know that one day this forest will get the protection it deserves. I know that it has to, because otherwise we will be losing something that we can never replace. But in order to continue to fight this battle for the forests, I thought that I could never let myself feel that connection again. I walked through the forest with different eyes since then. I walk through the forest with campaign eyes – looking for places that would make a good photo to really get people noticing. Walking through clear-fells semi-detached – look at that massive stump smoldering in a bed of ash – that’ll make a great photo that will really get people paying attention! Well, I mean, not completely that detached, but you know what I mean. When I thought about The Observer Tree project I really wanted people to find a connection to this forest, I really wanted people to fall in love with it so that they would be inspired to take action and help to save it. But I felt in my own heart a need to be guarded. To protect myself if the time came that I would have to sit here and watch it be destroyed in front of my eyes. It seems almost crazy, doesn’t it? For someone who loves trees to willingly sit and watch an area of spectacular ancient forest be clear-felled? But if I don’t watch it, then who will? This amazing area of irreplaceable forest would be lost forever and nobody would know. It would be done out of sight, hidden behind locked gates. Just a few kilometers away tourists would drive past on Styx Road, on their way to see the few trees protected in the Big Tree Reserve, none the wiser that right that minute an ancient ecosystem is being wiped off the earth as the bulldozers move in. That to me seems the greater loss, for it to just disappear without any body even knowing it was here. The only ones to see it, the people with chainsaws in their hands. And so, even though I know it will be hard to watch, I want to be here, so that I can bring this out of the secrecy of hidden broken promises, into your lounge rooms and offices. And maybe when the world sees this, they will step in and stop this devastation from continuing. This brings me back to the point that I started with. It has been a long winded explanation, but I guess you needed some context of my forest experiences to know what I meant. And so I was sitting here tonight. Having a break from the phone and computer. Perched on the edge of the sit looking out across the gully to the ridge on the other side. And I realized that no matter how hard I try….I can’t keep it out…. it just creeps in on you. It is impossible to live up here in the canopy of this tree and remain disconnected from the forest. Bit by bit, without meaning to, I start to know this forest. The little hollow in the tree next to mine, where I was so certain the other day I could see an owl staring out at me, but after it didn’t move for a whole day I realized it was the shape of the rotting wood inside the hole. The distinct shadows of the tall eucalypts across the ridge. The glimpses of tree ferns and celery top I can see below me. The feeling of sitting on the edge of this platform, with nothing beneath my feet, like I could almost soar off across the valley, joining the yellow tailed black cockatoos as they effortlessly pass over the forest. Better to have loved and lost than to never have loved at all. They say. And I think maybe they are right. I would never trade my experiences in the Floz for anything. No matter how much sadness I have felt from watching my home smashed there. The joy of coming to know the forest and what that brought into my life – I will always be thankful for. And so here I am again. And yes, I guess I am willing to take the risk, willing to let myself fall in love with this forest. I think I just have to be, because it seems to be giving me no other choice. Maybe this time, we will gather enough support and enough momentum in this campaign so that I don’t’ have to lose it. Maybe we will save it for long enough that you will be able to come and see it for yourself. Maybe we’ll even save it long enough for your great-great-grandkids to see it for themselves too? I can only hope so. Posted on December 26, 2011, in Daily Blog. Bookmark the permalink. 30 Comments. Dearest Miranda, tears streaming down my face as I read your blog. The forest really is part of everyone’s family, when you talk of the Styx for me it is as if you are speaking of our children (those we love the most), and hopefully the right decisions are made and they are allowed to grow and prosper surrounded by friends and family and who wouldn’t want that. (It is unimaginable to me that any one would want to make there beauty and strength disappear for a few gold coins). The Floz, this part of the forest has brought so much joy and so much sadness; heartbreaking stories have been told and tears for our lose are still shared often and especially at times like Christmas when we all remember those that are no longer on this earth. Your writing is so full of love for what you are doing for all of us, you are brave and amazing. Love and strength sent to you in abundance. One of the best pieces of writing on the Tassie forests that I have ever read. Yes Miranda, I understand why you feel that way. Anyone who can walk through these places and not get moved is not a whole human being. The forest to me is where we came from and where we most belong. I feel inspired to write when in the forest and often that feeling starts a whole new chapter in my working life. I really appreciate what you are doing to help save these special places and know that we, those who are whole human beings, are with you in spirit. Oh Miranda you wrote with your heart and it will touch others just as it touched me and reminded me of what we are working so hard for. To be strong when we know that there will be times where trees fall for the most incomprehensible of reasons. And to pick ourselves up again and work harder to make sure it doesn’t happen tomorrow and the next day. I try not to use the words ‘fight’, ‘war’ or ‘battle’ because it is the commercial managers and ignorant politicians that order the destruction. It is an action of commerce that orders those with chainsaws into the forests. Yet I must say the word ‘peace’ is what propels me to continue. Peace for the trees and all that call the forest home and peace for those who love the forest and those who have cut them down. My dream is that tree fellers will become tree guardians in the future. It is possible and it is just. And no I am not a hopeless dreamer I am a hopeful and practical dreamer. I will become a grandmother next year and I hope as you hope that there will be magical places to walk with the next generation. It does happen! People involved in the Australia whaling industry (which ended in the 1970’s) are now heavily involved in the movement against whaling in the Southern Ocean. There is hope! Oh boy! You’ve done it with words, Miranda. If we can’t be there, and up the tree with you, and if photos and videos don’t do it, your writing sure does. I feel privileged to be a part of this. Yet I’m in Melbourne at the moment. I was in Launceston when the Observer Tree was first announced. I’ll be in the Liffey as soon as I can get there in the New Year. I’m saying that we are with you in many different places. The issue is important. It is our native forest which continues to be under attack. Our island. A part of the world environment. To be torn down for what? Wood-chip? A government that refuses to implement its own agreement to protect these forests. I support everything you are doing Miranda, and those who are giving you close support. Your writing! It is very good. You have given us something to help our understanding. I have visited the Floz twice, as a member of the general public who came down to show support for you forest defenders. I felt inadequate in trying to report what Jacki had said to me at that time. Miranda, you have hit the nail on the head with this blog. You’ve told us just how it is. Yes, just like my fellow commenters, I read with emotion. The dilemma. To be open, to be committed, is to be open to hurt. Oh gee! Ali asked me would I write a book on how people’s psyches are/have changed during the course of these years of defending our forests. I told him I’d talk to him in the New Year about it, as if if he still wanted me to do it then, then of course I would. I don’t need to do that now. Your (today’s) blog has given me my answer. A good book on such topics is ‘After Shock: Confronting trauma in a violent world. A guide for activists and their allies’ by Pattrice Jones. Thanks Miranda for your story, a couple of tears being fought back here too. Maybe that’s why I am not down there because I think watching it all come down would just crush me. Thanks Lilia, I’m jumping on the bike, off to Angus and Robertson’s who have a copy in stock! Google said corner of Bourke and Elizabeth! Good on you Duncan and your beautiful children. I would like to thank you for everything you are doing, although the words “thank-you” seem like a more appropriate expression to use when someone has passed a cup of tea, and seem completely insufficient to express the gratitude i feel for the amazing work you are doing for all for us, up there in the tree. Thanks for what you are doing Miranda. I am sorry for the stress it is putting you through, I have only seen the aftermath of a clearfell and that always makes me feel like there should be a funeral for the trees destroyed, animals dead or homeless. Beautiful story Miranda. Heartbreaking yet full of hope. Thank you for it, and for what you are doing. Truly inspirational. Thank you Miranda. You have in fact taken me into the Floz. The smells, the sights, sounds and the intimate contact with its inhabitants. The physical touch of leaves and the different barks of different trees. After reading your piece I feel like I have been there for a stay. So the Floz is not entirely lost – although the wanton destruction a kind of insanity that cannot be undone and the actual loss of life cannot be compensated. Still to read such eloquent description is to be there for a moment. 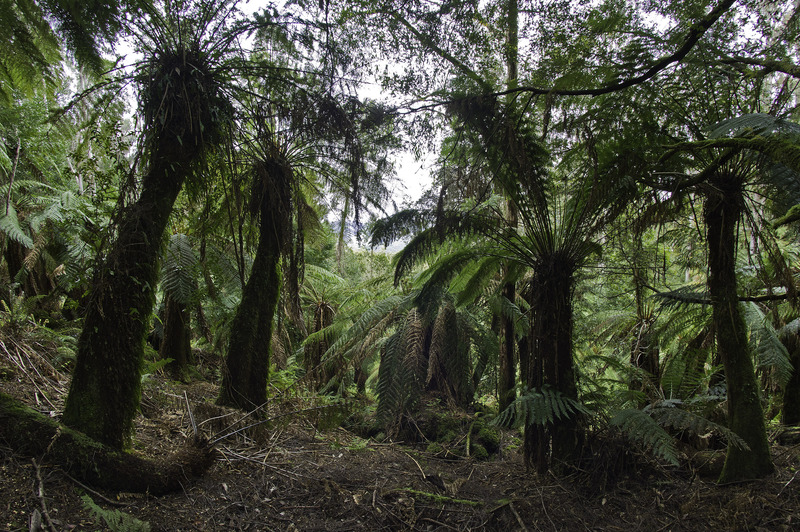 Captured so beautifully the in forest experiences and what it is that drives so many people to devote their energies and their hearts to doing all they can to protect the forests of Tasmania, and forests across the world. Brave writing and brave campaigning. Amazing piece of writing Miranda. Thank you for reminding me what it feels like to be in an ancient forest as I sit here in the concrete jungle of Sydney about to spend New Years Eve surrounded by people I love, but without any trace of the natural world. Thank you for sharing this and for what you are doing. Such an honour to have met you Miranda, an ever inspiring person…how can one not have tears streaming down their cheeks seeing our old mother being shredded into pieces. I think it’s impossible once you fall in love with it……. Your calmness and vigour is analogous to the silent awe of the ancient forest. I was just in the Floz for the first time in 2 and a half years and after reading your blog and seeing the destruction that has happened in that time is all really quite jarring. Your inspiring energy is helping rebuild a determination for me and many others in protecting our ancient forests, keep going!! reckon i’m going try write a song about this!!! Thinking of memories of front sit, very special times, but sad as well, reading your blog in a internet cafe in the middle of sri lanka, trying not to get too emotional. The joy and the heartbreak of tree sitting, it’s a powerful thing to be a part of. Stay strong, I’ll be thinking of ye, so far away and so high above the tree tops. Thank you. Sending you strength. Deep respect for your will to do something for the forrest and this world. Tazz-courage, is the new expression.You can proudly wear that for the rest of your life. We all own you a lott. Hi you just brought me to tears, after reading your story,i spoke to you some time back, just want to say again, you are a very special lady, doing a fantastic job. I am doing my bit sending money to the Wilderness Society, every month, plus emails etc.